JV turned 14 today. 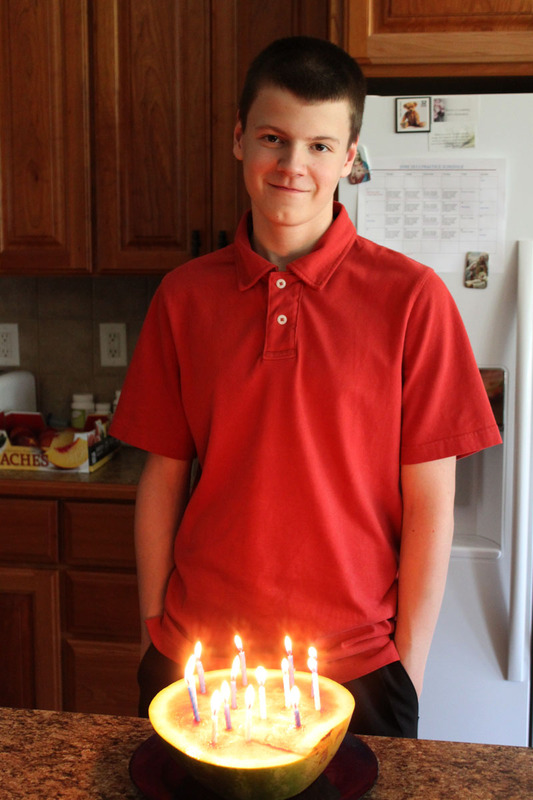 My youngest…my little guy who isn’t so little at 5′ 10.5″. He is really into getting fit. He hurt his back during track season. He went to a physical therapist who has given him exercises to do. He does them faithfully. He has joined the YMCA and is working with a personal trainer. He is taking as many basketball camps this summer as possible. This will be the first year that there will be cuts in the team. He is doing everything in his power to make the team next year. He is on a health kick with his eating as well, so he didn’t want a cake for his birthday. He loves watermelon. So that is what he got instead, a watermelon with candles. I would say it worked quite well. He also got a few presents. 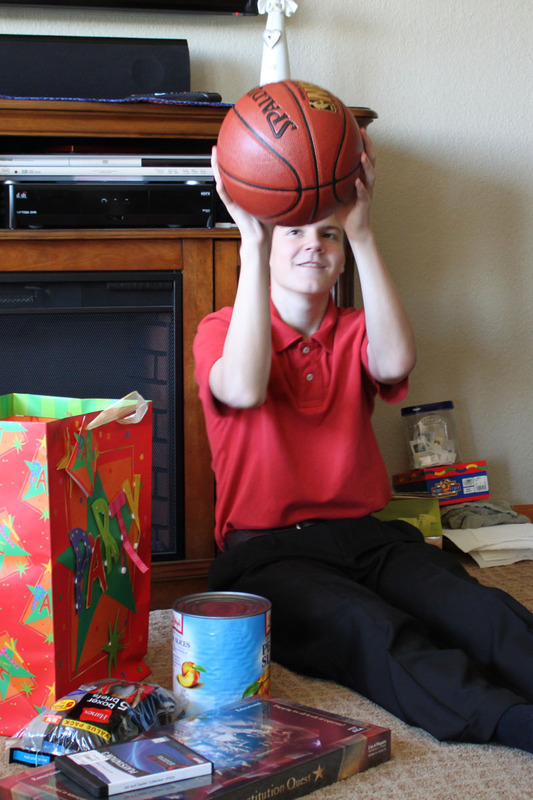 His favorite, by far, was the new NBA Spaulding basketball. You might notice the large can beside him…that was a gag gift…a can of peaches. Healthy, but yummy. We had a great day. We went to church this morning and then went out to eat. We ended up at Perkins because the restaurant we wanted is temporarily closed. We played a new game, Constitution Quest. Of course, Big M won. Then the boys spent time playing on the Playstation 3 with a new game. Overall spending family time is my favorite way to spend a Sunday. We will top it off by having brats, beans and corn on the cob for JV’s dinner. Can we do this again next Sunday?